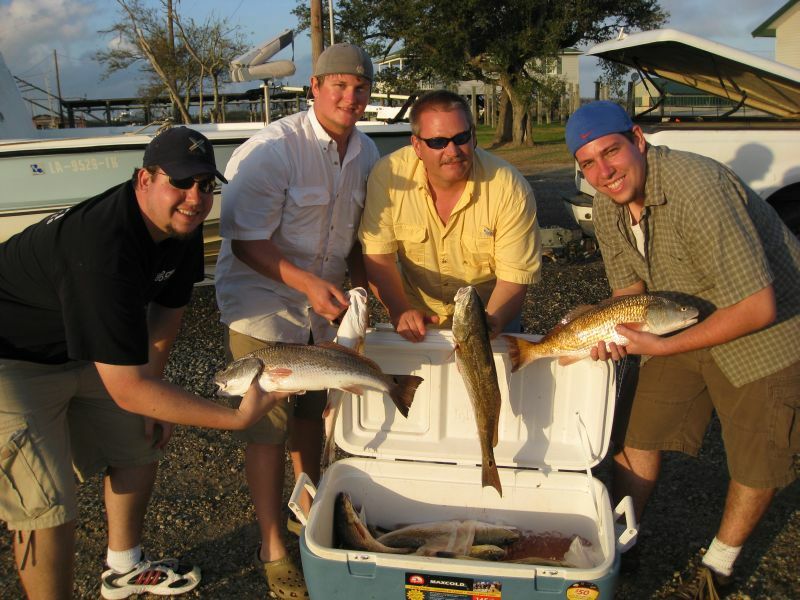 These guys (2 Houston, 2 from Shreveport) came together Tuesday to Help me make some Videos for the Houston Boat Show(Reliant Stadium Jan 4 to 13. Booth # 604) The Reds were tearing it up and the birds were still working nice trout. These guys liked chasing Reds in the Marsh and 3″ New Penny Gulp was the bait they liked. 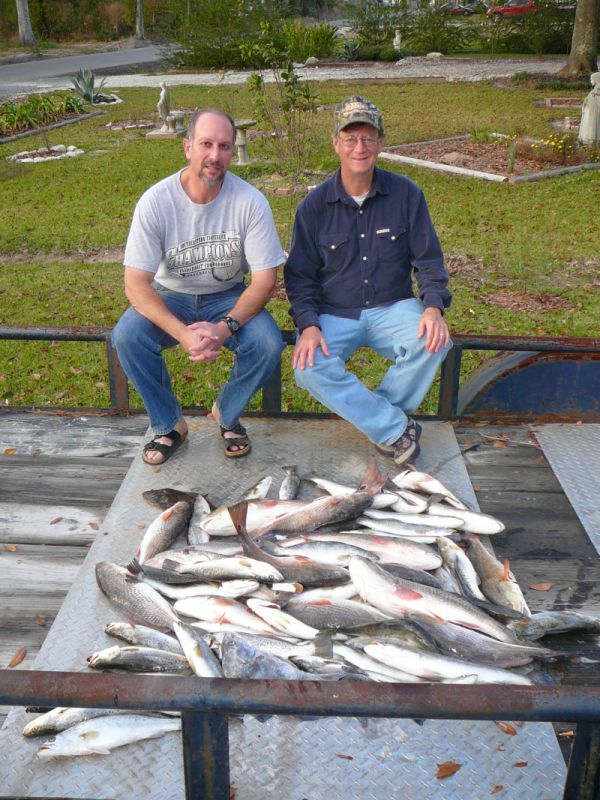 Bill,Gary and Mike from Shreveport came down and found the Trout and Reds were thinking it was summer in December. The Temps were in the 65 to 75 range and the birds were showing the way to this nice catch. December can be a great month to fish and the good fishing will continue as long as the water temp stays above 50 degrees. 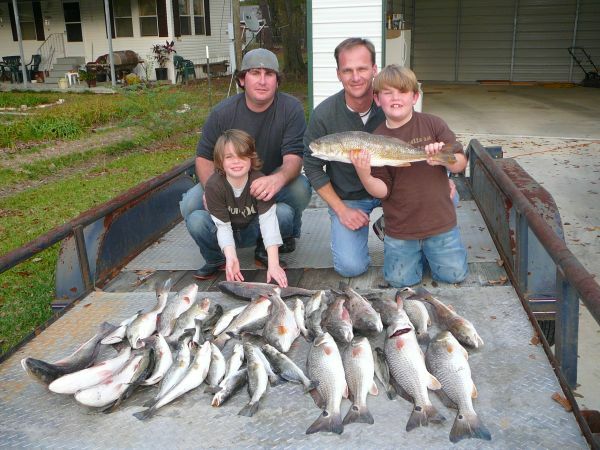 Patrick, his son Dalton, his friend John P. and John’s son Trent got an early Christmas present, astocking full of 3#Redfish and Trout. The boys had their dads 12 to 2 at the start but buy midmorning the dads made a come back and tied it up. We finished with 18 Reds and 22 Trout for a great day for the sons and fathers to remember.